Get on Alt For Norge. Also known as… The Great Norway Adventure. The 10th season of “Alt for Norge,” a Norwegian reality TV show, is back in Minnesota looking for contestants. An open casting call is coming up this weekend at The Mall of America. The show’s casting directors will be holding the casting event from 9 a.m. to 3 p.m. Saturday, Nov. 3 at the mall. Another open call for the show is being held later in the month in Chicago. MINNEAPOLIS, MN: Saturday, November 3, 2018 from 9:00am – 3:00PM at the Executive Center at Mall of America®, which is located on level 4, east. The highly rated Reality TV show sends twelve Norwegian-Americans to Norway to compete in cultural and adventurous challenges as they chase down their ancestral roots trying to win $50,000.00 and the chance to meet their long-lost Norwegian relatives. 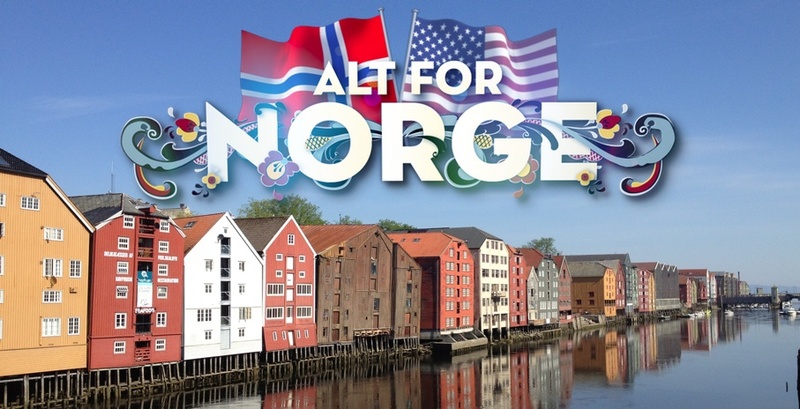 “Alt for Norge” casts people that would love to come back to their roots in Norway. Check out the country and compete in various challenges which may include things like dog sledding and Norwegian swearing. Those left standing, have a shot at getting a prize of $50k. The losers, well, they still get to travel to Norway and re-connect with the country their ancestors called home. There are some rules. First and foremost, contestants must be of Norwegian descent and have not been back to Norway in since the age of 15. Those applying to be on the show must be at least 18 years old. The show films in the spring and those cast will need to be available for travel out of the country between the spring and early summer of 2019. • Must be a descendant of Norway (Have some Norwegian blood in your veins). You can be of mixed nationalities or ethnicities – it doesn’t matter how much or little Norwegian blood you have. • Must be a U.S. Citizen OR a Canadian Citizen living in the U.S.
For more information, go to oconnorcasting.tv/norway10. If you do not live in Chicago or Minneapolis, you may still be able to do a video audition or online audition for the show.